Professional women's hairstyles can be a controversial topic, and it's something every working woman struggles with. As a woman in the workplace, the pressure to fit in or to meet corporate expectations can be overwhelming. You want to be taken seriously, and you would rather be noticed for your work ethic and ability than your looks. Fortunately, we have come a long way in creating dress codes for workplaces that are equitable for both men and women. Men are no longer dictating professional women's hairstyles and clothing, as was the case just a few decades ago. You can take advantage of this new freedom to express yourself through your hairstyle. Still, it can be difficult to find a hairstyle that allows you to maintain your uniqueness while also creating a professional work-appropriate look. Before you ask your hair stylist to give you a look circa 1959, let's explore some other options. In this article, we’ll take a look at 10 hairstyles that blend a professional look with your unique style. 1. What Makes a Hairstyle Work Appropriate? How you choose to style your hair for work depends on the career field in which you work. Some offices are more relaxed in their expectations, while others have a more rigorous dress code. A work-appropriate hairstyle allows you to express your individuality, but will not interfere with your work or cause a distraction among your co-workers. It is also important to consult your employee handbook, if you have one, for job-specific requirements. 2. What Factors Should I Consider in Choosing a Style? If you work in an on-the-go environment where you are often traveling by car, train, or even airplane, you might want to consider a style that is less susceptible to the outside elements such as temperature, wind, and rain. If your work keeps you at your desk most of the time, you have a bit more flexibility. Other factors you want to consider are your hair texture and length, whether you are willing to cut your hair and the length of your workday. 3. Can My Employer Tell Me How to Style My Hair? Employers may set standards for hair as long as those standards don’t discriminate against specific employees. 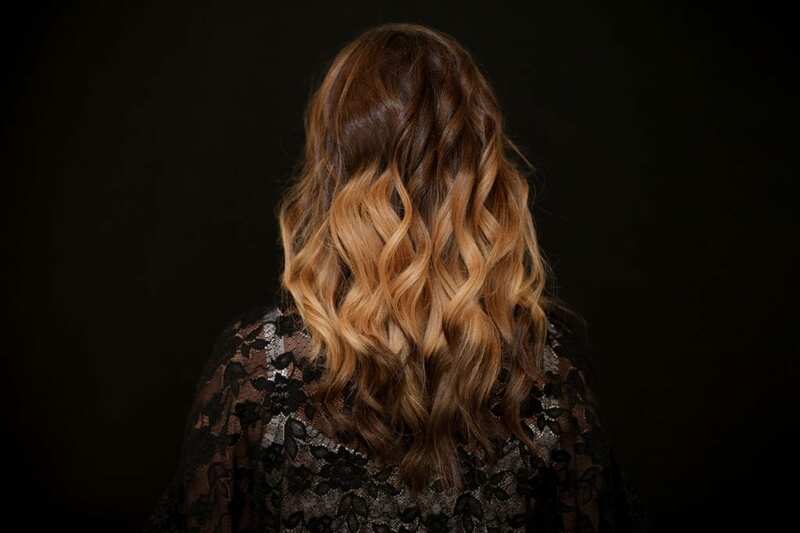 For example, employers may require that hair is "neat and well-groomed and natural color," but they cannot insist on women wear their hair long or in a certain style. This can be troublesome, however, because defining whether a style qualifies as "neat and well-groomed" is very subjective. It is unfortunate that, sometimes, these policies can discriminate against women of color. Traditionally accepted standards for "well-groomed" have historically been based on Caucasian hair. Fortunately, the styles we've listed here include options for every hair type and texture, so we can all look our best and feel confident at work. 4. How Often Should Professional Women's Hairstyles Be Changed? You should change your style as often as you are comfortable. Some women prefer consistency and feel it helps clients or their employees feel comfortable. You might prefer to change things often to keep your look fresh and new. Frequent cuts can keep your hair healthy, especially if you are out in the weather or travel a lot. How often you change your style is a personal choice, and we have a lot of freedom when it comes to professional women’s hairstyles. 5. Are There Exceptions to What Are Considered Professional Women's Hairstyles? Some women say there should be no exceptions as to what qualifies as professional women’s hairstyles. The growing majority believe that hair is irrelevant to job performance. You may agree that your hairstyle or color does not affect your ability to do a good job. However, many companies still ban certain styles and colors because they are not “natural” or do not appear “well groomed.” Until such a time as these more traditional beliefs fade away, you may have to avoid very bright neon colors, complicated updos with accessories, shaving part or all of your head, or dreadlocks. You should consult with your employer specifically to determine what is or is not allowed. We compared about 50 different professional women’s hairstyles to determine which ones would best serve you depending on your hair texture, length, and your job type. There are well over 50 different types of professional women's hairstyles. 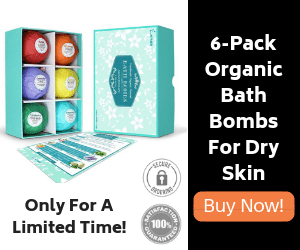 For this article, we have narrowed the list down to 10 of the most popular. Below, we offer a comparison of those 10. This sleek style takes just minutes to fix each day, saving you valuable time. The bob is a classic, short hairstyle ending just before or at the jawline. Bobs can be one length or layered. The Sheik Bob is a little longer than average and angled from back to front. The bangs are also angled so they can be swept to the side, possibly behind the ear. This is another twist on a classic style. 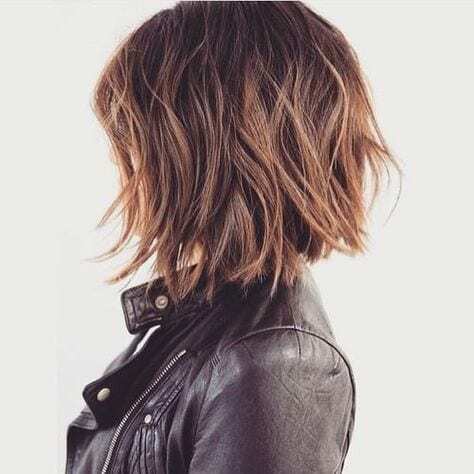 To achieve it, the traditional bob cut is layered or “feathered,” which means to cut more, shorter layers, giving the hair a wispy, feather-like texture. Fringe is cut into the front and usually is blended into the rest of the layers. This is another slight alteration on the classic bob. Rather than leaving it all one length, your hair is cut into layers. Then, the ends are flipped outward with a curling iron or a hair dryer brush. This is a fun way to make the bob feel fresh. This style requires medium-length hair, which means hair that falls to the shoulder blades. This style can be achieved with layered hair or hair that is all one length. Curly hair would need to be straightened first. Then, the hair that frames the face is curled loosely on each side. In this style, hair is cut into several layers to give it lift and body. This can be done with medium to long hair and generally works well with both curly and straight hair. The look will be different with straight hair vs. curly hair, but layers generally provide body and lift with either hair type. This style is very versatile, as it doesn’t require any hair appliances and products. This fun, sporty style is achieved by pulling up all your hair on the crown of your head. Then, separate a one-inch lock of hair and wrap it around the base of the ponytail. If you like, the ends of the ponytail can be curled. This style requires medium to long hair. This style is a trendy way to change up a bob without cutting your hair. With a little hair product, based on your hair type, you slick back the sides of the bob and then tease the top to create a “bump,” or volume, on top. This sporty style is a great way to mix up a bob that you’ve grown tired of. By cutting your hair a bit shorter and adding textured layers. Curtained hair has previously been a men’s style, but it’s becoming more popular with women. Parting short hair and allowing it to frame your forehead with “curtains” is an edgy way to show your personality. This super easy style is an option if you have long hair and need to tame it or you’d just like a break from daily styling. Simply pull long to medium hair upon the crown of your head and wrap loosely into a messy bun. Make sure your hair is pulled back tightly so that it’s smooth. You can accessorize with pins or clips if you like. The list of professional women's hairstyles has, thankfully, grown quite a bit since women first entered the workplace. The freedom to vary your style and still hold senior professional positions is a positive step for working women. However, some women still prefer to stick to a more classic look so as not to let their hair be a distraction. Many professional women's hairstyles reflect a desire to put the focus on the work. For this reason, the classic bob is the best choice for those women who are looking for a relatively low-maintenance way to look great while not standing out. For those women who are less concerned with blending in and would rather make the statement that women don’t need to conform to be professionals, a style like the super high ponytail with wrapped hair is a great choice. This feminine, girlish style is reminiscent of childhood. Using this style in the workplace is a way to challenge the conventions about what a woman must look like to be professional. From the list of professional women’s hairstyles we reviewed, these two are two different, yet fantastic options. Every woman is unique, so professional women’s hairstyles should be unique. Either one of these styles will serve you well in the workplace, or you can choose a style that represents who you are. Professional women's hairstyles should be as varied as the women themselves because variety is what makes any workplace more successful.